while moving at warp speed and engage stationary objects from warp. The Rebels ships are designed only to fight at slower-than-light speed. 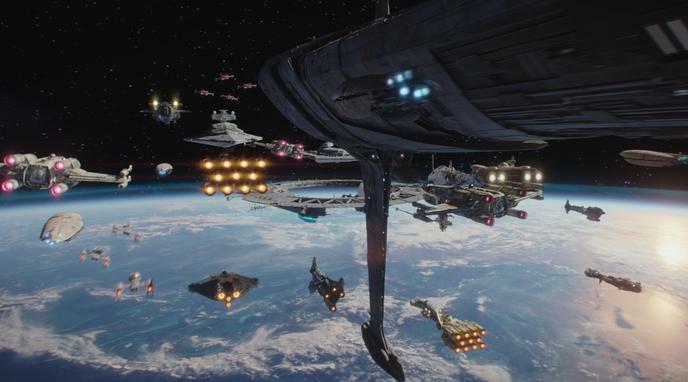 Federation ships therefore could close in on Rebel ships at faster-than-light velocity, hit them, and retreat before rebels would even be able to see them (due to Federation ships traveling at warp speed, faster than light).